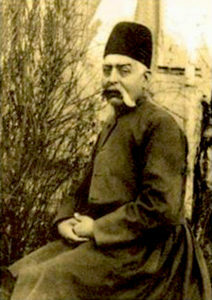 Known simply as Mirzá ‘Abd’u’lláh, he was one of the believers during the ministry of ‘Abdu’l-Bahá. 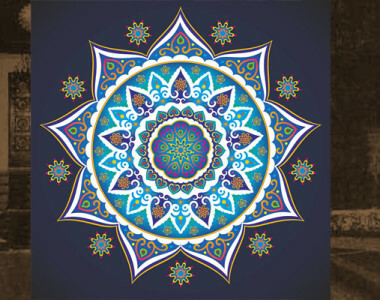 He along with his brother Mirzá Husayn-Quli, are known as “Fathers of modern and traditional” Persian music and the first Bahá’í musician of fame. In a tablet addressed to Mirzá ‘Abd’u’lláh, ‘Abdu’l-Bahá addressed him as “Divine musician”. Being from a family of master musicians, the two brothers had kept in memory melodies of generations bygone, never been transcribed before. Writing musical scores was not known to the musicians of 19th century and prior to that period in Persia. Musical tunes were kept in memory and transmitted from generation to generation. The old masters kept the secret of their art to themselves and rarely taught it to their pupils. Thus, many invaluable pieces from Achaemenid period, for instance, have been lost with their authors. No document has been found to tell us how Mirzá ‘Abd’u’lláh became a believer. In his childhood, he must have been an eye witness to upheavals of Shiráz following the return of the Báb from His pilgrimage to Mecca. 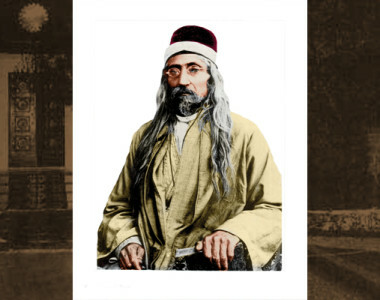 He learned music from his father and his uncle and although music and musicians were of low esteem during the Qájár dynasty of Persia, nevertheless Mirzá ‘Abd’u’llah’s outstanding talent made him a unique artist musician in court of the Sháh of Persia. 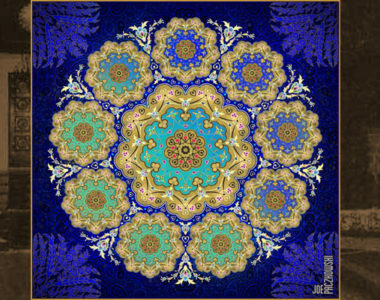 During that period, the Faith of the Báb was well spread throughout the land and according to reports from orientalists residing in Persia for diplomatic reasons or military training, half of the population of the country were believers in the new Faith. It is possible that Mirzá ‘Abd’u’lláh was also one of the believers who kept his Faith to himself nevertheless he was well-known among the friends in Tihrán. It is not clear whether he had ever corresponded with ‘Abdu’l-Bahá but the Master revealed a prayer for him and encouraged him in another tablet to preserve the melodies by transcribing them into musical score. O musician of God!… The songsters of fellowship that abide in the gardens of holiness must pour forth such a triumphant burst of songs in this age that the birds in the fields may wing their flight in a transport of delight; and in this divine festival, this heavenly banquet, they should play the lute and the harp, and the viol and the lyre in such wise that the people of east and west may be filled with exceeding joy and gladness, and be carried away with exultation and happiness. Now it behoveth thee to raise the melody of that heavenly lyre and to perform music on that celestial lute, thus causing Barbud(1) to return to life and Rudaki(2) to be solaced and Farabi(3) to become restless and Ibn-i-Sina(4) to be guided to the Sinai of God. Upon thee be salutation and praise. Mirzá ‘Abd’u’lláh had a modest music school in a district of Tihrán called Imám-zádeh Yahyá. A number of so called open minded pupils were following his classes. Music was forbidden in Islamic countries then, therefore the mob had a good excuse to frequently attack the building, injure the pupils and break the musical instruments. Subsequent to ‘Abdu’l-Bahá’s advice to preserve Persian tunes, a number of Mirzá ‘Abd’u’lláh’s students were encouraged to travel to Europe and learn the musical score and the way to transcribe them. Following Nasir al-Din Shah’s travel to France, sound recording equipment was brought to Persia and in 1906 some of the old masters managed to record their melodies on cylinder and later on vinyl disks. 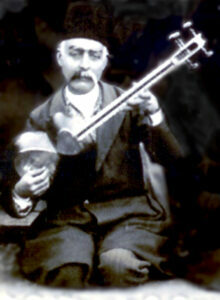 Mirzá ‘Abd’u’lláh was 65 years old when he started to record a number of Gramophone records. It took another seven years to transcribe all the musical scores and make sure that the integrity of the pieces is kept in the best possible way. Reproductions of some of the old recordings could be found in digital format online and on CD. Mirzá ‘Abd’u’lláh did not stop teaching and performing music until he left this ephemeral world. He was tutoring students while ill in bed and until he passed away. He was 75 years old. 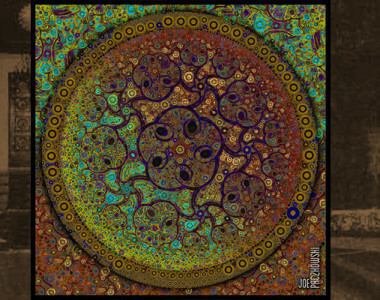 The Persian Musicians, Pejman Akbarzádeh, Tihrán-Los Angeles, Iran Heritage Society – 2008. 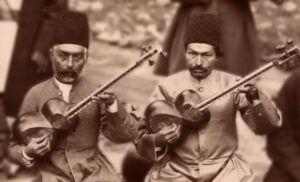 Music Teachers of Tihrán, 1918 – Masters of Persian Musical Instrument Tár and Setár. 1 Peerless Persian musician: A singer, player and inventor of many ancient musical instruments who lived at the court of Khosrow-Parviz of the Sasani dynasty about 600 A.D.
2 “Father of Persian poetry” (d. A.D. 940). 3 Renowned Muslim scholar; author of a treatise on music (ca. A.D. 870-950). 4 Avicenna; also, Ibn Sīnā or Abu Ali Sina (d. A.D. 1037) Persian Polymath, father of early modern medicine. Golgasht Mossafá’í has done extensive research on the history of the Bahá’í Faith for over 40 years. He has travelled extensively throughout the world as a Travel Teacher or resident pioneer in West and Central Africa, Europe, Asia, North as well as Central America. He is a Cinematographer Engineer and has filmed or video-graphed the architectural details of most Holy Places in Iran and Europe. His latest production is a lengthy video documentary on the passage of ‘Abdu’l-Bahá to Montreal, Canada in 1912. He has taught history at Green Acre and is a contributor to the Bahá’í Encyclopaedia.